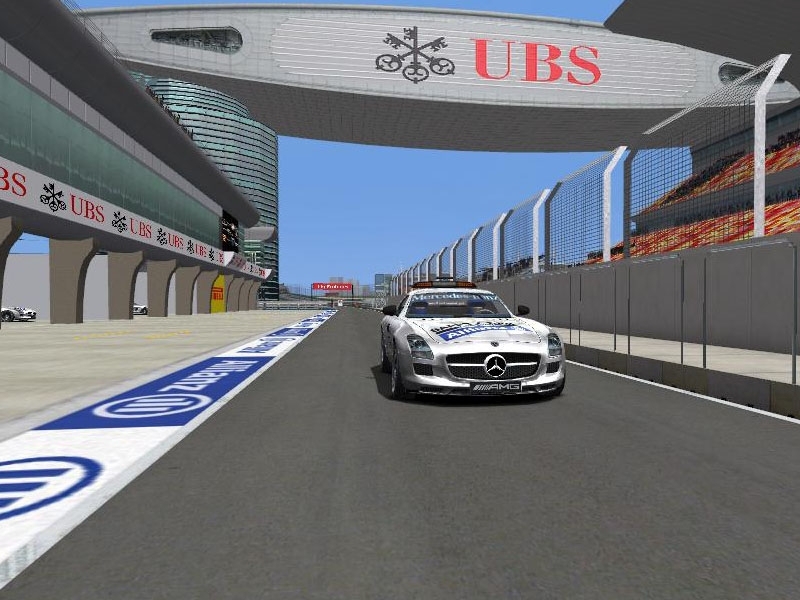 Here is the 4th track by Kicker for the F1 2014 trackpack of WCP-series, check it out, once again a great quality ! 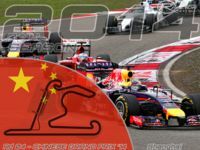 The Shanghai International Circuit (simplified Chinese: ??????? ; traditional Chinese: ??????? ; pinyin: Shàngh?i Guójì Sàich?ch?ng) is a motorsport race track, situated in the Jiading, Shanghai, People’s Republic of China. 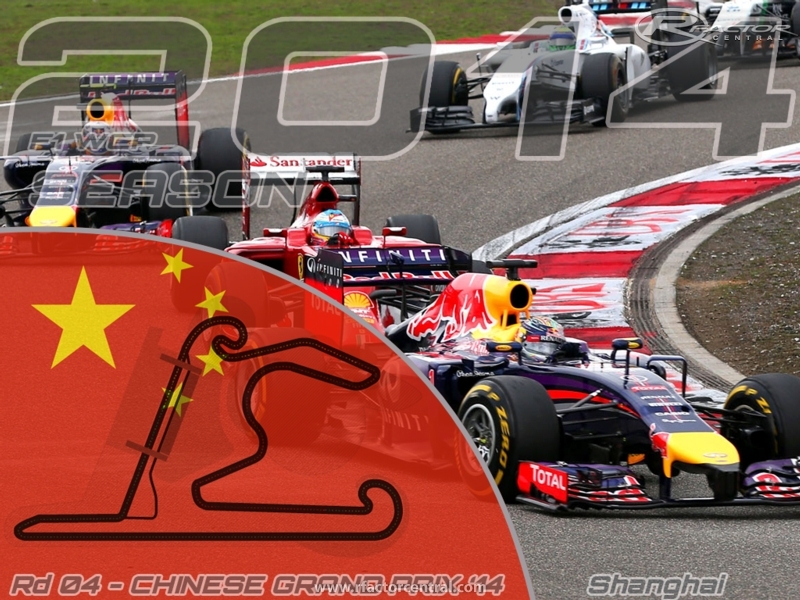 The circuit is best known as the venue for the annual Formula 1 Chinese Grand Prix, which it first hosted in 2004. In common with many other new Formula One circuits, it was designed by Hermann Tilke, and also features his trademark track feature: a long back straight followed by a hairpin turn. There are currently no setups for Shanghai 2014. Add a Setup. Not only do I don't know how to make anything, I obviously don't know what is going on in WCP's development garage. I have a Thrustmaster T-500 set-up w/ both wheels (F1-Ferrari + GT wheel)...T500RX shifter for old school, but I had to Google "g2 motor". I have a lot to learn. Thanks for your reply. I'm starting to get a handle on how much effort and thinking goes into making things newer and better. I downloaded a mas file editor. Is this how the disease starts? Looking forward to following the new thread. We want to move to a "new gen" simulator such as rFactor 2 or Assetto Corsa, but as BlkJello said, it's not reliable yet, still in beta phase... Admit it, I'm just waiting for rFactor 2 to be at the same level as rFactor was in 2008~2009 when it started to become sturdy... I think our team has a great potential at modding, wether it is for rFactor 1 or any other sim, we just want to wait to work on a steady and ready game engine... rFactor 1 is reaching end of life but we can still achieve a great work that we will be able to use in the next gen sim. Moreover releasing the work allows us to improve for the next version... I'm going to make a new rfc thread for our 2014 mod that is coming along with the trackpack. Thanks WCP for the track. Believe it or not...some people still like rf1. And Courier respectively....if you are going to use examples of mods for rf2.... you probaly shouldn't use F1RSH2014 as an example. That mod is a mixed bag at best right now. Not saying it doesnt have potential....but with its hdr problems...and without hdr it looks like complete garbage..... and its makers making bold statements about it being a USER issue and not a mod issue at first. I wouldnt use it as an example. Besides it has questionable content....front suspension...steering wheels...rims\tyres. It was taken off the isi forums for that reason. Anyway...great track.. Thank you WCP. I should start by saying I don't know how to make tracks or cars, so I would like to thank all modders everywhere for all of your hard work. It's your work that has made Rfactor such a great experience. I'm curious though as to why people continue to develop F1 mods for Rfactor1 rather than Rfactor2. I"ll refer to F1RSH2014 v1.0 (The Real F1-2014 in Rf2) ...Drs, Ers, Brake-By-Wire, Motor 1.6L Turbo V6 15000Rpm, tyres and fuel consumption, 3 engine mappings for rate of power/fuel consumption, 2014 seasons calibrated, 2014 models and sounds, and yes, 8 speed transmissions. BTW, the drs system in this mod blows RfHiVoltage away. Link: https://mega.co.nz/#!NYwVVY5T!MA4JT1...DUUvWlnF9P54Xw . I'm not criticizing your work, just wondering if your talents might be better utilized developing for the new era of F1 (whether we love it or hate it, 2014 is here).